This Friday (25th November) our St Austell, Penzance and Penryn shops will be hosting a massive sale for Black Friday, all items in the shop only 50p!!! 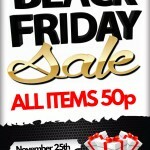 That is right, only 50p per item for 1 day only!!! Go Grab some bargains!!!! 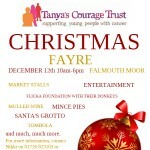 On Monday 19th December we will be holding a Christmas Fayre in The Brannel Room in St Stephen. 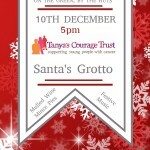 The Fayre will be open from 10am until 4pm. We hope to see you there.